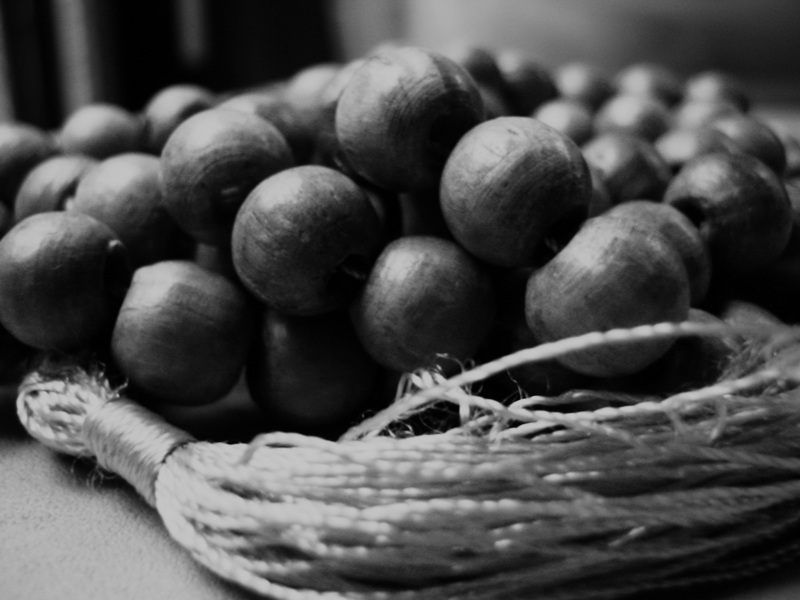 This wooden beads is a souvenir that my husband bought at Tasikmalaya, West Jawa, Indonesia. Wow I thought this is an onion. Great shot! Nice! They look almost like nuts. What will you do with the beads? Nice B & W shot. Yup, I was wondering what it was, I thought is was some kind of black and white grapes, hehehe.. Have a nice day! hahhaa...I thought it's a vegetable....lol! is there any significant meaning about this beads Lina?